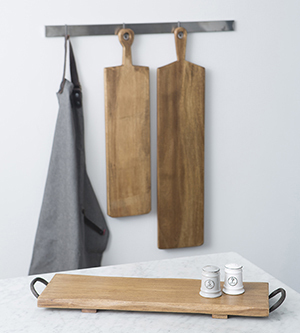 Looking for a stylish wooden chopping, serving and presentation board that suits both a traditional and contemporary kitchen? Here are some tips to follow and discover unique designs from T&G. Start with the basics - Choose a natural wood chopping, serving and presentation board, wooden boards come in a variety of different sizes and shapes from round, square, rectangular to the large end grain boards. Choose from different woods to create different looks, from hevea, acacia which is a dark wood, rustic acacia. 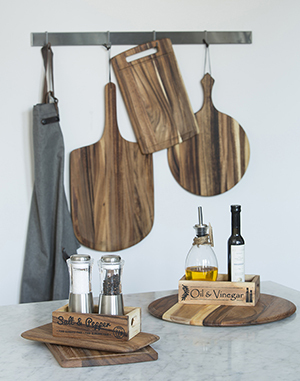 Share & Serve - Placing wooden serving boards on the dining table creates a relaxed dining atmosphere. Choose from a variety of different styles and shaped wooden boards from round to rectangular, footed and flat to delight and inspire. Perfect for entertaining and al fresco dining! Step 3 which wooden board is best? Why choose a wooden chopping board? Incredibly hard wearing, natural beauty, naturally anti-bacterial and kind to knives! 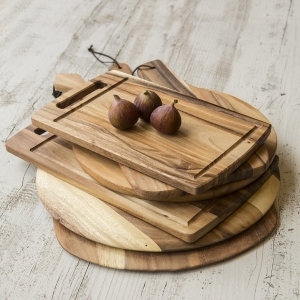 For the perfect accompaniment to your chopping and serving needs, shop our boards & platters collection. 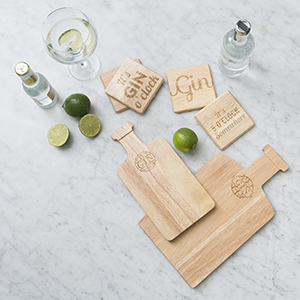 T&G Giant Wooden Serving Boards coming soon!